Technology sector is among the most active industries, especially with the World’s biggest IPO being registered against the name of an e-commerce company, Alibaba Group Holding Ltd (NYSE:BABA). Jim Cramer is technology lover and Yahoo! Inc. (NASDAQ:YHOO), Facebook Inc (NASDAQ:FB), Google Inc (NASDAQ:GOOGL) are among his top tech stock picks of the past 30 days. Cramer mentioned Yahoo! Inc. (NASDAQ:YHOO) at least 5 times in the last 30 days and he consider Yahoo a good buy while pointing out that enterprise value of zero is a mistake. Cramer mentioned Yahoo! Inc. (NASDAQ:YHOO) as a good buy in the lighting round of his shows saying, “Yahoo is without a doubt one of the best buys in this market. It is going to get a lot of money out of the Alibaba IPO, and management is going to do good things with it. 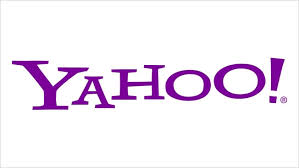 Yahoo is a good steward of capital.” Cramer mentioned Yahoo multiple times as a good option to invest in the Alibaba Group Holding Ltd (NYSE:BABA) IPO. Cramer suggested that the temporary decline in prices is in light of Alibaba Group Holding Ltd (NYSE:BABA)’s IPO and investors should return to Facebook Inc (NASDAQ:FB) afterwards. If there is a stock that Cramer has admired for over a decade, its Google Inc (NASDAQ:GOOGL). Cramer suggested investors to get advantage of the slightly lower prices in the light Alibaba Group Holding Ltd (NYSE:BABA)’s IPO and buy Google Inc (NASDAQ:GOOGL) at great price. Cramer used the insights from Ed Ponsi, Barchetta Capital Management, in suggesting Google a Buy with $570 as the best entry point for new investors.